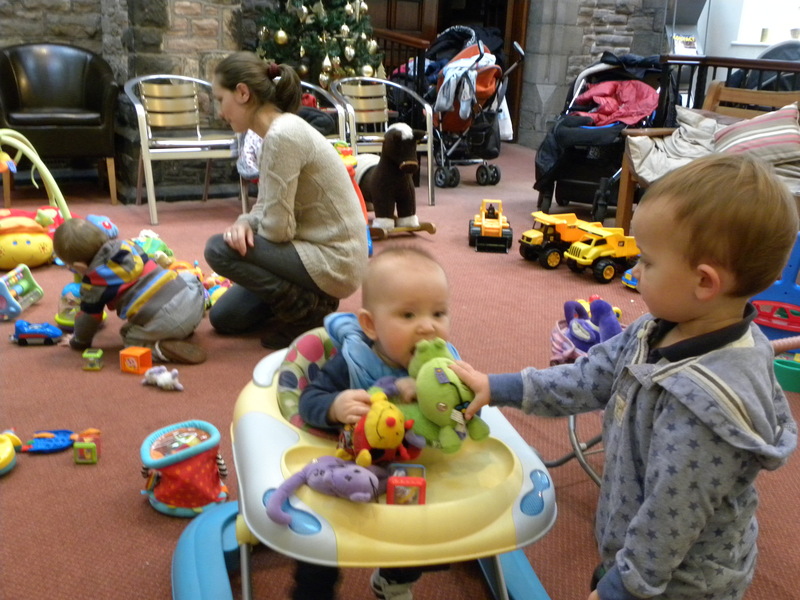 Cross Street Parent and Toddler Group meets on Mondays, 1.30 – 3.00 p.m. during school term time. The carpeted entrance area is a pleasant area to chat and has mostly toys for babies. The adjoining hall has a wide range of play equipment for toddlers including: ball pool, large play blocks, slide, play house and small world toys. Drinks and snacks for children and tea/coffee and biscuits for parents are provided part way through followed by a Bible story, children’s action songs and a prayer. The songs that the children learn in the toddler group are used in the monthly Family Service so that the children feel included. There are baby changing facilities in the ladies’ and disabled toilets. There is no need to pre-book, just come along and fill out a registration form on arrival. Admission is £2.00 per family.